A while ago as we asked our readers what they want to know and read. You are planning your summer vacation and asking, which are the best places to visit in Europe? 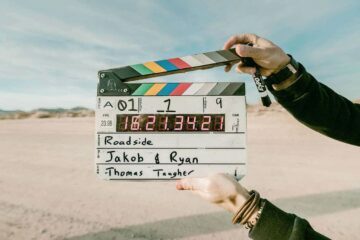 What should I include or consider for this summer? We love Europe, and we have been all over the old continent, exploring the best European destinations over the last summers and winter. We are Europeans ourselves, lived in several places! However, that’s not to say we know it all. No way. We would still love to know more, explore more and discover the smallest villages to the highest mountains. There is so much to explore. 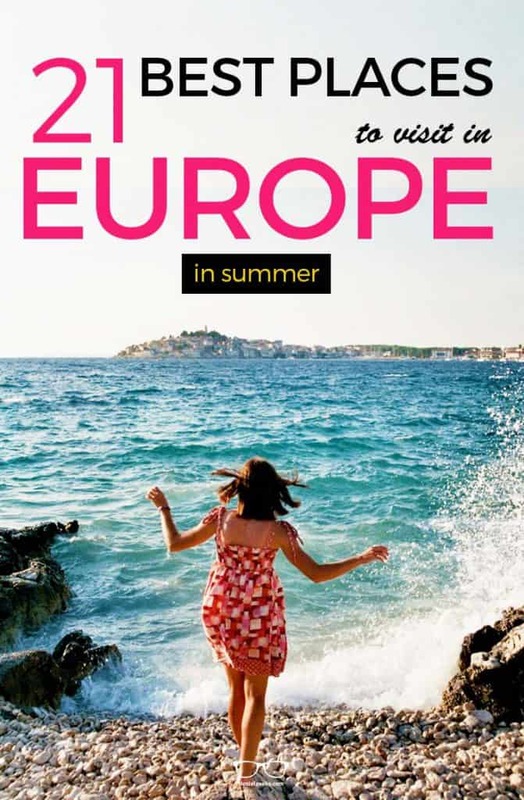 After our travels, and the stories of our friends who actually went to places we have on our bucket list, we are keen sharing with you the 21 best European destinations for this summer 2019. From the most southern point of Europe, up to Scandinavia, from Lisbon and Porto to Moscow – there is a lot to explore and discover. Traveling in winter? 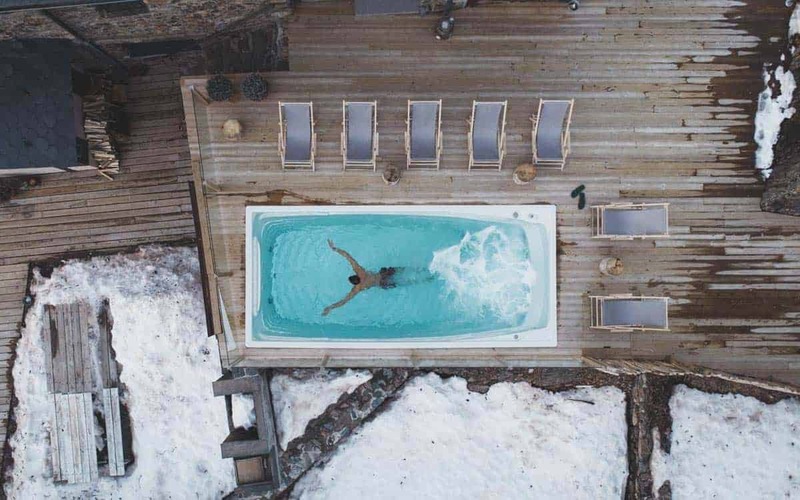 Find our top 16 European Winter Destinations here. Here is our perfect and light packing list (to pack smarter and lighter). Let’s kick away those bulky winter boots and put on the flips flops. We created this extended list of 21 European destinations to enjoy this summer. 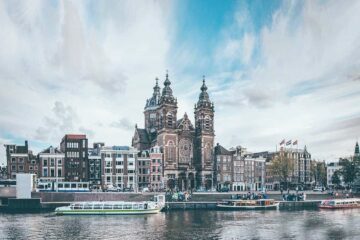 This list of cool European destinations is a great resource for the 1st time visitor as well as the experienced European city-hopper. It will be your inspiration for your Europe summer itinerary and things to do. Bear in mind, many of these places are also fantastic in the off season., not only perfect in July, August and September. 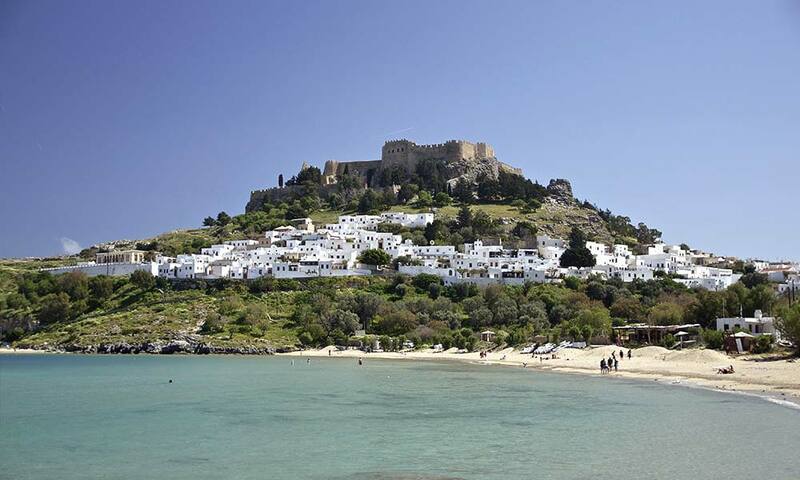 Rhodes and actually all the Greek Islands are famous for being an awesome European summer destination! You can either join the popular nightlife or just hang out at the beach all day long and go early to bed to repeat it the next day. Either way, don’t miss out on the food, you would regret it! Make sure you get out of the city as well. The island has plenty of different corners to explore. Therefore, get a bike or scooter, and hit the road. 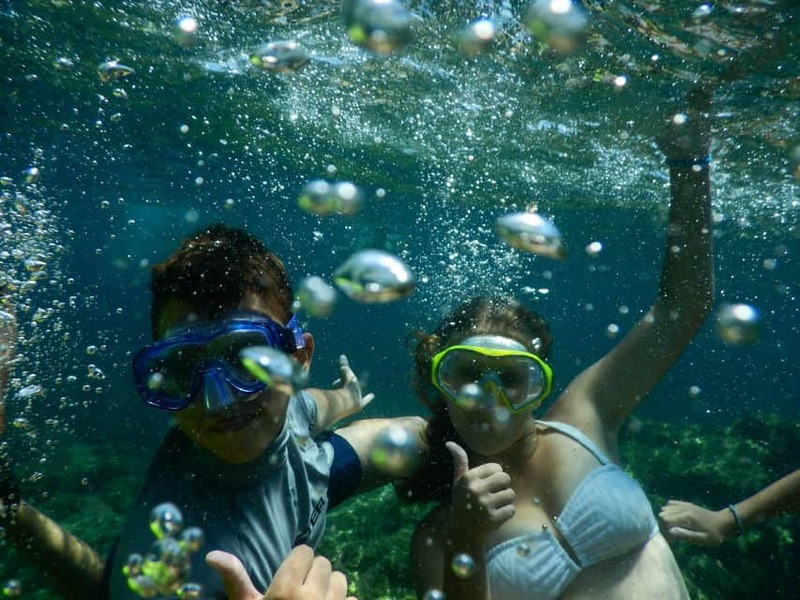 Rhodes is home to STAY Hostel Rhodes, an outstanding hostel for every type of traveler. In fact, it is a 5 Star Hostel! The high-quality hostel skipped the idea of bunk beds, and you will get a well-designed room, with a comfy mattress and single beds. For the couple-traveler, there are as well double-rooms, no worries! Families can go with the apartments. So, what can you do here on the island? EXPLORE! 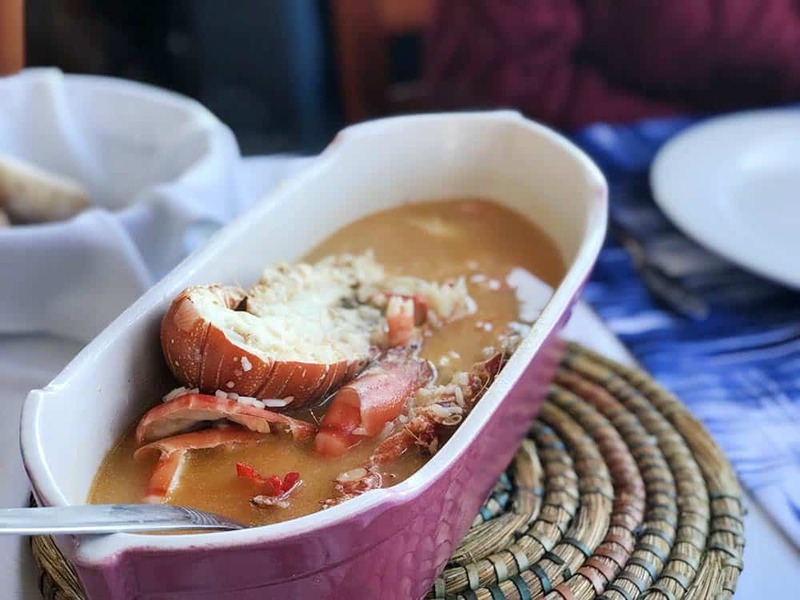 You can dive into the food culture, the wine, the historic center and history behind and of course so much nature from parks to beaches. Everybody will be jealous of your sunset photos from Santorini! This is why we added the instagrammy-glam-factor! Known as one of the most beautiful islands in Greece, it is much better to stay on the island than doing a single day trip. Once the tourists from the cruises leave the island, you will feel like in heaven. It’s time to find a nice terrace and watch the magical sunset while delighting some Greek food. 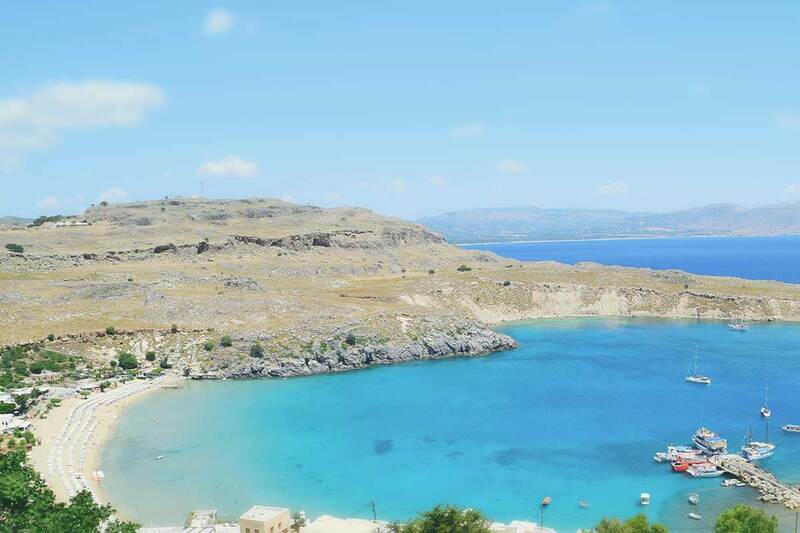 We recommend combining both trips to Rhodes and Santorini. Both islands offer everything you need for your epic European summer. From here you can take as well day trips to smaller islands around. Experience to sleep in a cave! 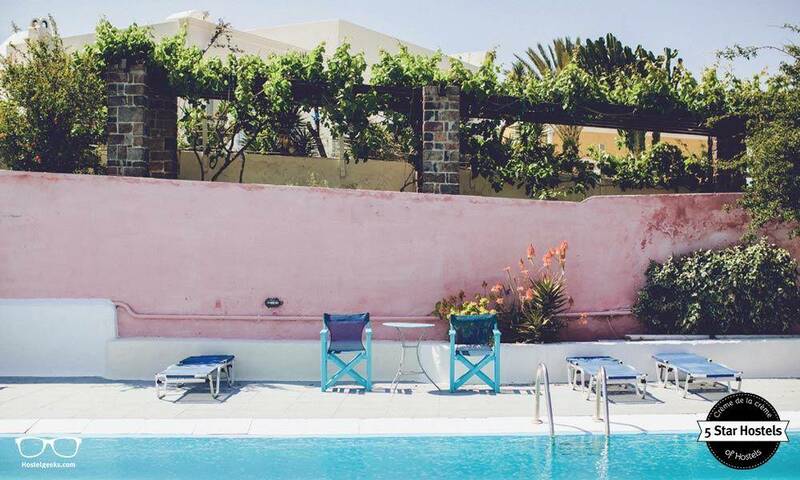 The 5 Star Hostel Caveland Santorini used to be a winery, and a former luxury hotel. It was totally refurbished and nowadays it is a unique hostel. 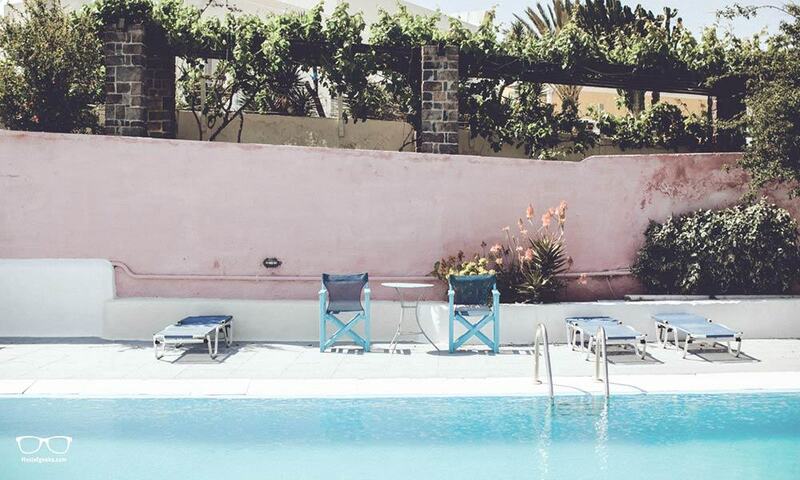 They offer yoga classes on the rooftop terrace, cozy vibes, and… a swimming pool! The perfect combination to feel relaxed and refreshed after an exploring day. 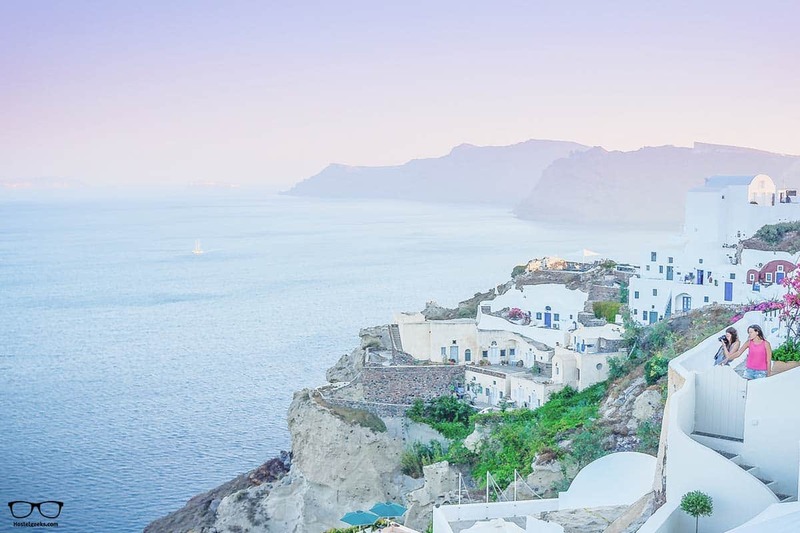 Find all hostels in Santorini here. Most people just go to Santorini to fill their Instagram profiles with beautiful photos of white houses (you can check our Instagram). Fair enough, we say. Even if you are not looking for adventure on your Europe itinerary, you can enjoy the incredible nature here. The high mountains, the lakes, the green all over. It is a explosion of colors here, something we personally did not expect that beautiful! Therefore, Interlaken is one of the best places to visit in European Summer (and winter)! 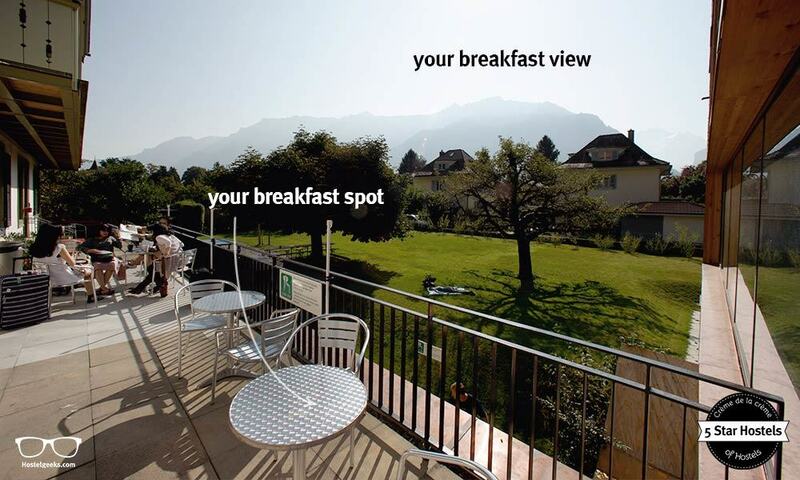 Centrally located, on a budget, and with high standards, Backpackers Villa Sonnenhof is the place to sleep in Interlaken. They do have a spacious kitchen and social area, as well an inclusive breakfast to start your day with energy. 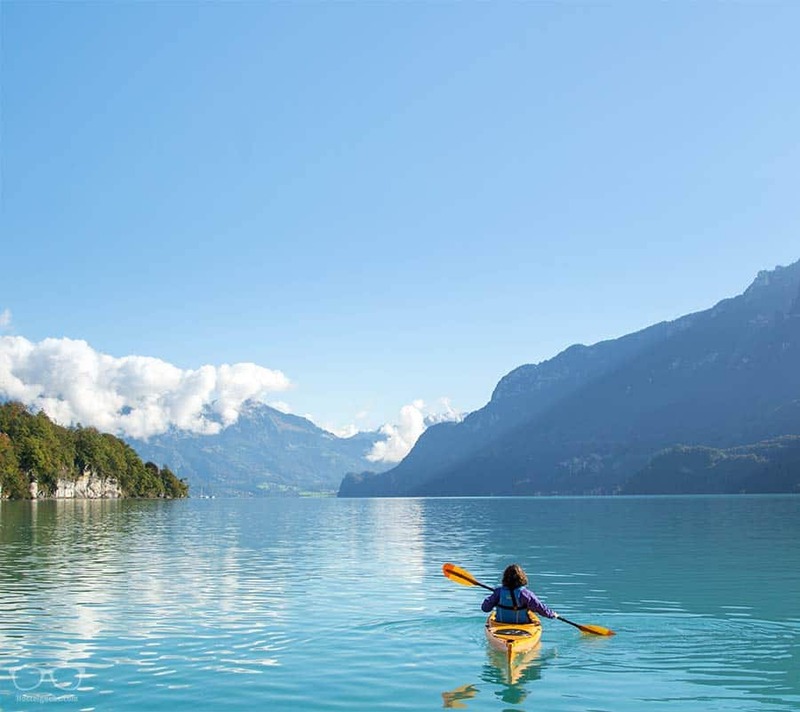 Interlaken is known as a sports capital, so you will struggle to decide what to do. 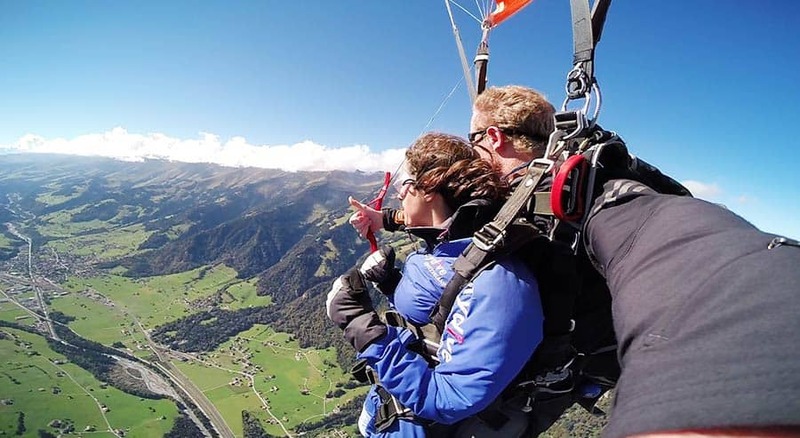 You can find all the best things to do in Interlaken with Outdoor Interlaken. For the relaxed travelers, it is also a great destination, as you will be surrounded by incredibly amazing nature. Ghent is a real hidden gem in Europe. The city of Bruges and Brussels are the famous spots in Belgium, and they eclipse Ghent. 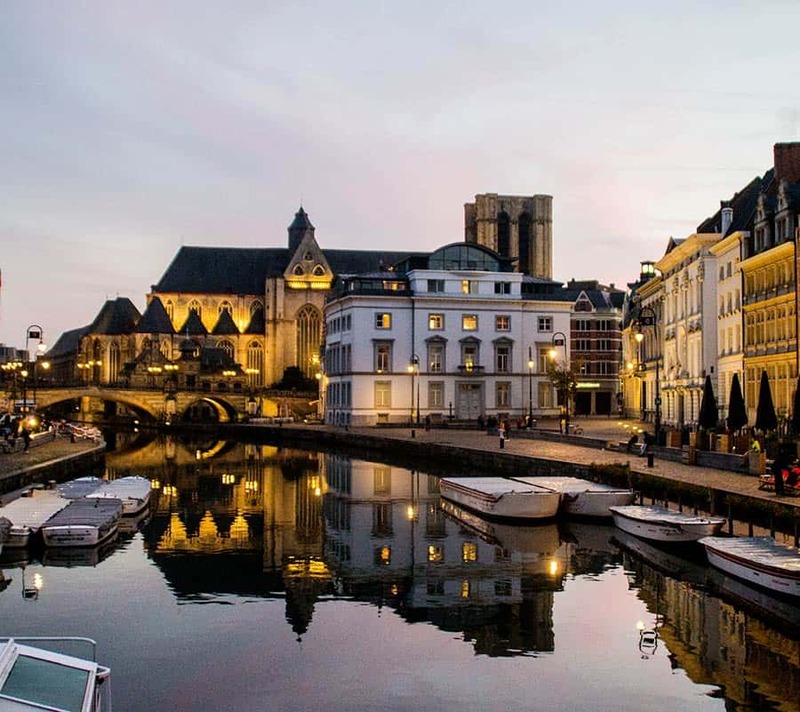 In our opinion, Ghent is a more lively city: Its architecture, its canals… and the lively student flair fills up the city. Let the big tourists crowds go to the nearby Bruges and enjoy a European hidden gem. Especially at night, Ghent is extremely beautiful. Walk around at night, have dinner, and wander along the canals. Like in many European destinations, the lights of the main sights are turned off at midnight. BTW: Bruges is really beautiful. It’s worth it to stop by for day trip! Where to stay in Ghent? Stay at a cute old Belgian house with cozy rooms just in front of the Castle. B&B Waterzooi is not only a beautiful accommodation. The hosts go out of their way to make guest stay as pleasant as possible. As for hostels, check out all hostels in Ghent here. Belgium is known for its beer and chocolate and beer, but culturally, it has many other things! London is a vibrant city which everybody must visit at least once in their life. Landmarks, activities, experiences,… it is in continuously changing. This one is a real classic. London, the biggest city in Europe and as big as New York City, I believe, has EVERYTHING. From theater, musicals, every type of culinary scene in the world, sport, big events, street art, art, museums, …. the list is endless! Palmers Lodge Swiss Cottage is located in an old Victorian Mansion. It will make you feel in a real British home. Palmers Lodge Hillspring was an old former police academy. Nowadays, it has been turned into a boutique hostel with comfortable self-customized bunk beds. Both 5 Star Hostels are very near from the metro stop, which is the perfect way to move around the city. London city has infinite activities to do. Rotterdam is one of the most exhilarating cities in Europe. It is basically an open air gallery. It will delight you with its world and lifestyle vision. 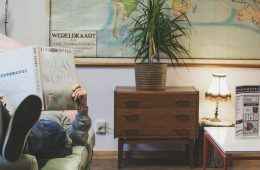 Where to stay in Rotterdam? To experience Rotterdam at its fullest, go to Ani&Hakkien Hostel, the coolest hostel in town. 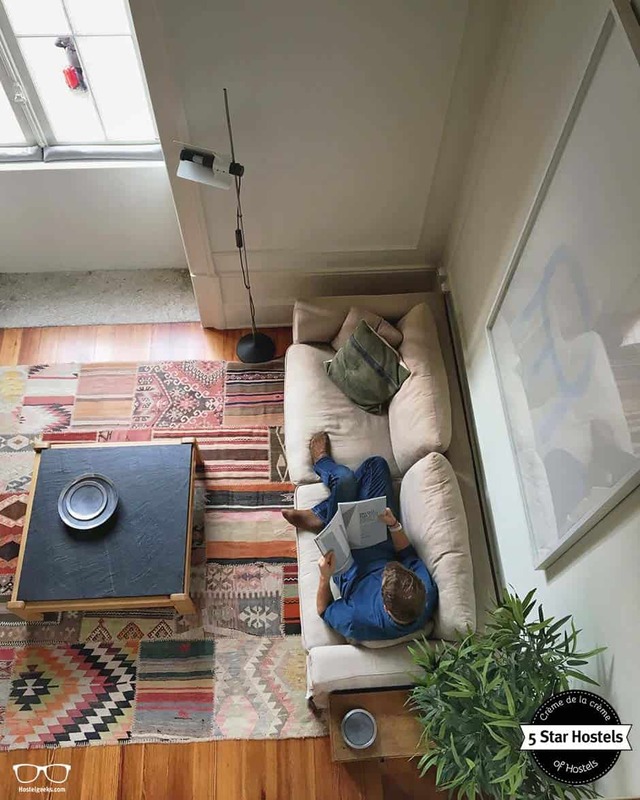 With a cozy common area and a green garden with hammocks, they do even have a vintage shop, an exposition of works and live music or film screening. In this cozy hostel is all about creating a sense of community. 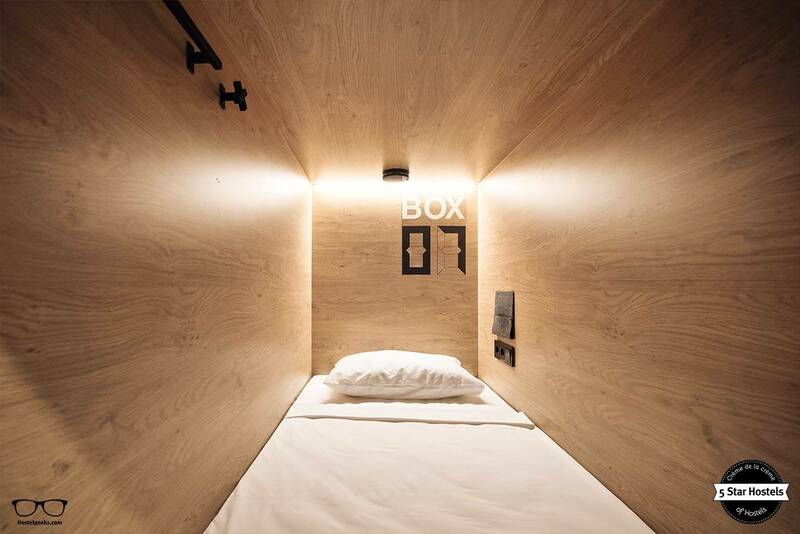 You might never want to leave this hostel! Famous for its nightlife, Rotterdam is also an open air gallery with plenty of things to offer. 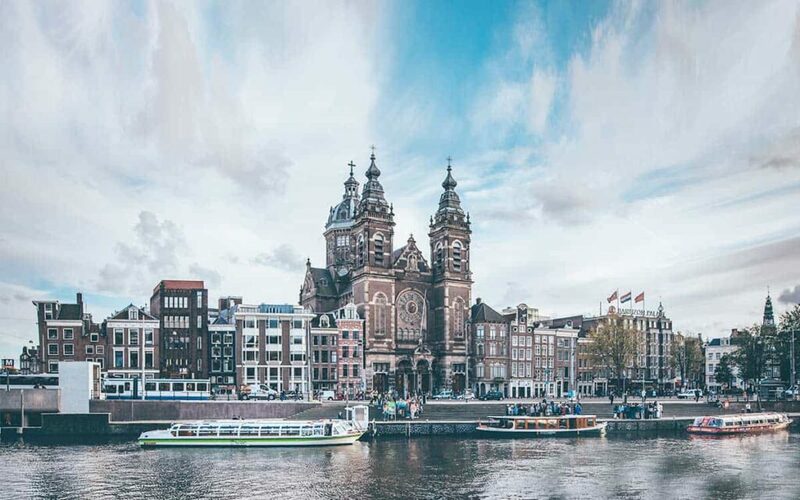 Visit the impressive masterpiece of market hall and head over the Kinderdijk. In spring you will find many tulip fields all around. 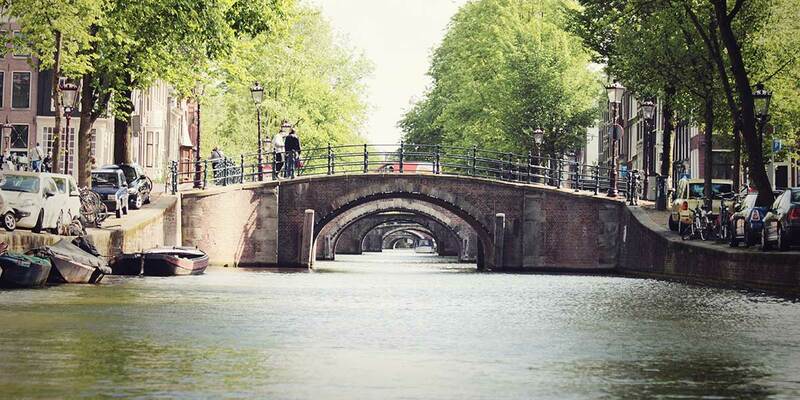 The perfect, cliché Netherlands experience. But seriously, it is beautiful! Fuerteventura is a volcanic island in Spain with great food, good weather, and smiley people. Yes, Canary Islands are Spanish even though their location is more South than Morocco. We like to say: It’s Africa with Europeans living on it. Fuerteventura looks small on the map but distances are tricky and long. You should adjust your location to the activities/ places you want to do and see. 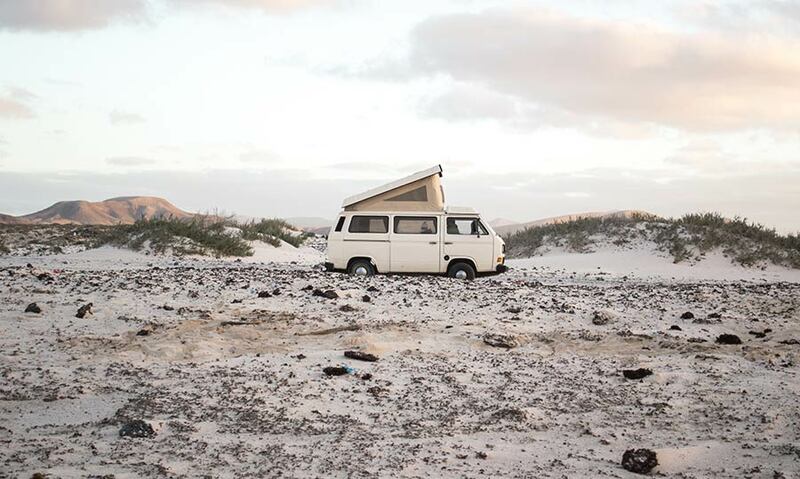 The best option for Fuerteventura is to rent an apartment or to stay at a super cool surf hostel. Here you can find all hostels in Fuertventura. There are many beautiful apartments in Airbnb. 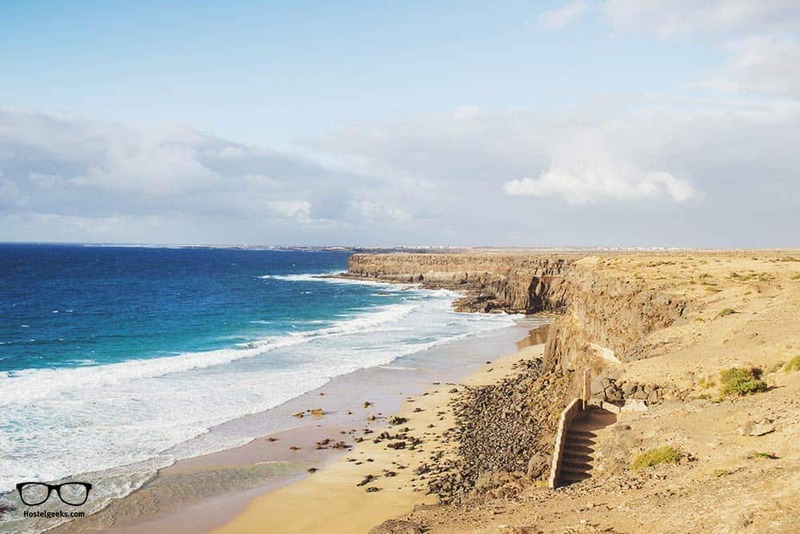 The best area to stay in is the North, around Corralejo and El Cotillo. if you want to some nightlife and more restaurants, Corralejo is the best option. 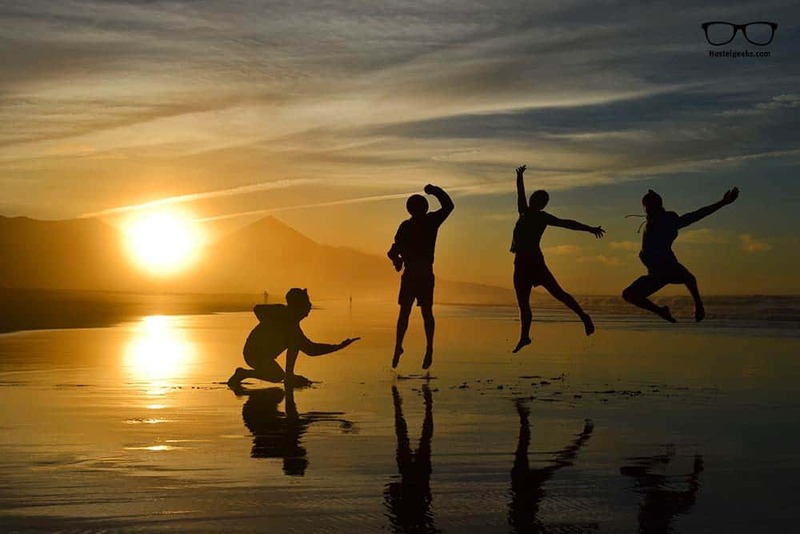 Surf, kite surf, paddle-surf, sunbathing, trekking, cycling, or simply eating! So many fresh products and good Mediterranean food with reasonable prices are waiting for you. One of the most beautiful beaches for me was the Playa de la Escalera. Also: do not miss out to drive South to the Cofete and Villa Winter. Legend has it that at the end of WW2, Nazi officers escaped from Europe to Cofete in Fuerteventura to take a submarine to South America. Personal note: We did our very first hitchhiking in Fuerteventura. Amsterdam knows how to meld history with urban modern flair! You can find many interesting cultural spots, learn a lot about the European History. As well as enjoy its canals, neighborhoods, cafés, eateries, and exciting lifestyle. The two best hostels in Amsterdam are Ecomama and Cocomama. Both very good located, these are the hipster places in Amsterdam. 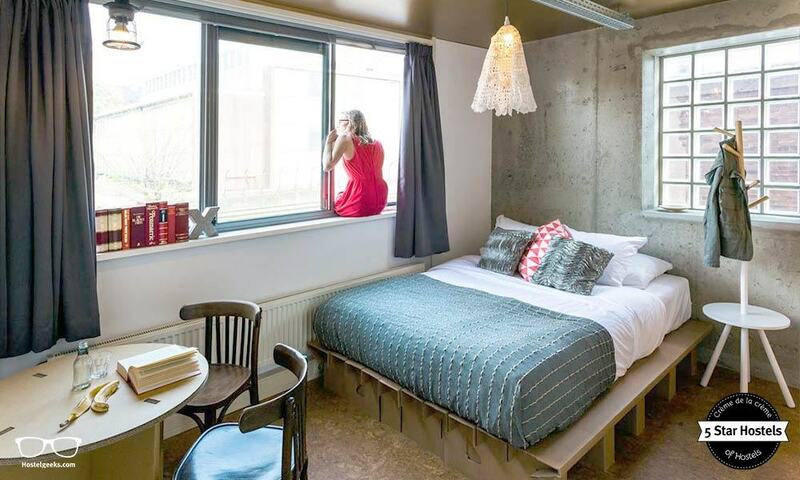 Cocomama is the very first boutique hostel in Amsterdam. With a very intimate atmosphere, only groups of maximum 4 people are accepted. 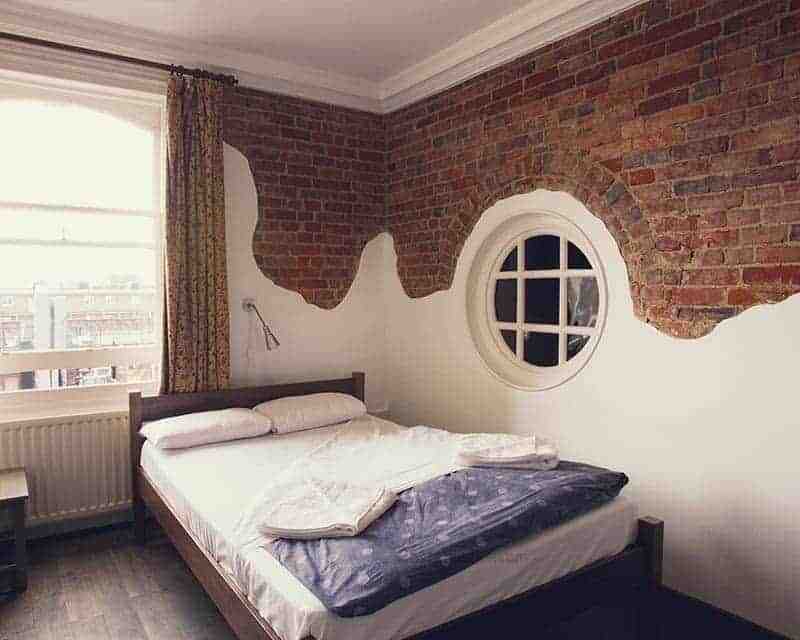 Each room is designed with a unique Dutch theme. 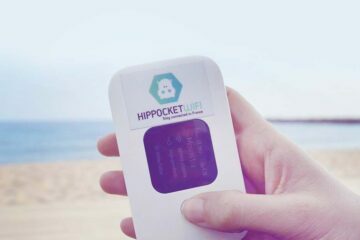 You will enjoy its design and activities! Ecomama, the green sister or Cocomama. A funky eco-friendly hostel with plenty of activities for the new-generation travelers. If you plan any museum visit, bear in mind that you might find a long queue. Lisbon to us, this city is charismatic and vibrant, plus the food is amazing (and CHEAP!). The city itself has so much to offer, from Culture to Architecture, and nightlife. But, the area is stunning as well. You can do endless day trips to nice cities like Peniche, Evora and Cascais. Only a short bus or train ride away, there are nice sandy beaches. 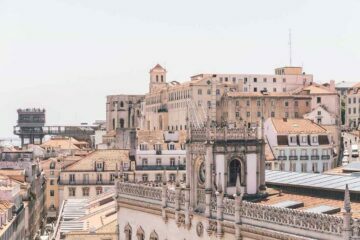 Lisbon is a great city to visit for families. What about to stay central with city views? Cool, uh? 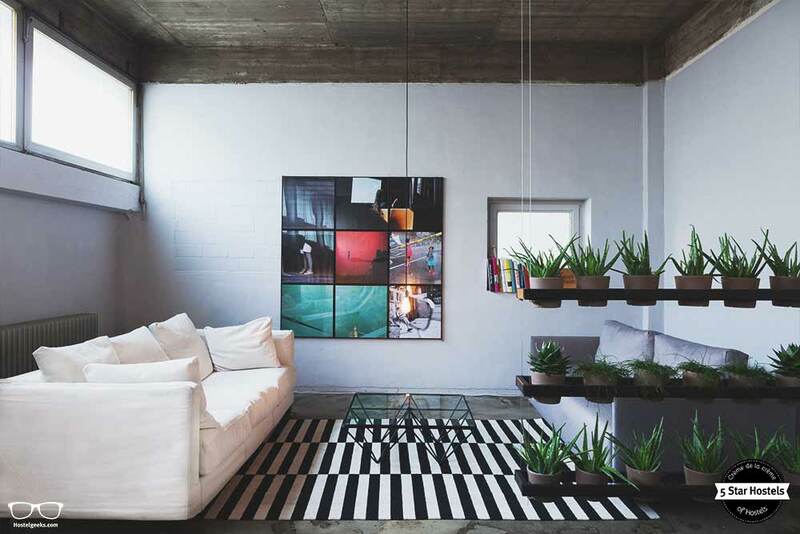 Cool Design, a Zebra bar and a swimming pool on the rooftop terrace. A relaxing paradise in the city center. 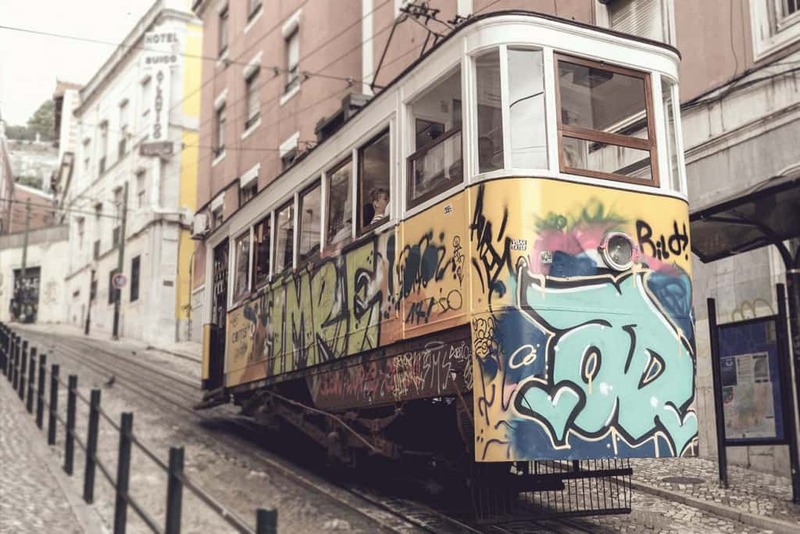 Get our full guide to the best hostels in Lisbon, Portugal here. 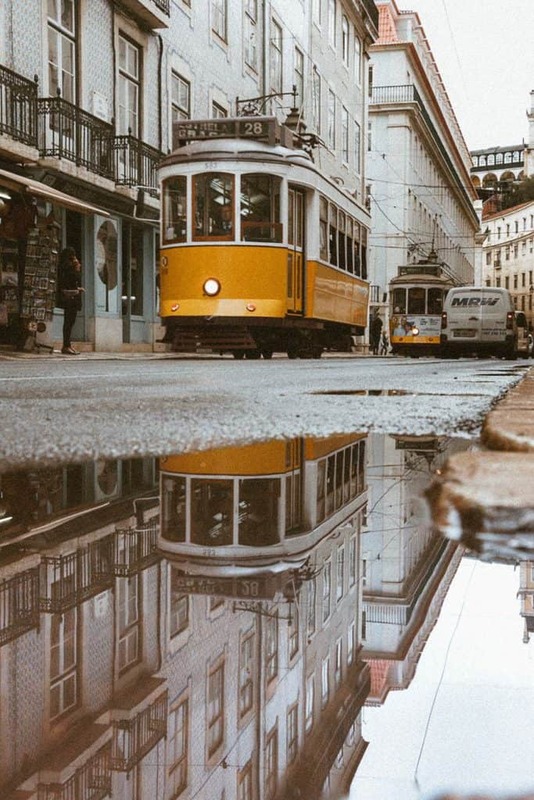 Lisbon is easy to move, to find good food and to enjoy your time. It is still a hidden gem. From Lisbon we move up to the North to Porto. It is cheaper than Lisbon and smaller. And it has different things to do. You can climb the bridge here, taste the world famous port wine and wander the Douro River along to the ocean. It is also home to the famous Lello library. You know the one J. K. Rowling was writing partially Harry Potter. It is one of the most beautiful book shops in the world. They have a clock tower in the very city center to climb, the Clerigos Tower. From here you see the whole city. This is especially wonderful during sunset. Another highlight for me was climbing the Porto bridge near the ocean – for only 15€! The Passenger Hostel is the best Hostel in Porto. It is a top-notch hostel located literally inside a monumental building. It is the Sao Bento Station. So you are staying downtown! You enjoy an included breakfast, play some fun games and mingle with fellow hostel mates, and wake up in a design-led hostel environment. What do to in Porto? In Porto you can enjoy an incredible culinary scene. You eat like a king here! Besides eating like there is no tomorrow, have a port. Better, a port wine. The world famous porto wine is being shipped from here. The wine itself comes from the Douro Valley. Take a river cruise to the douro valley. Visit the world famous Library Lello and understand a part of Harry Potter a bit more. Walk around the small alleys and the hills in Porto. Climb the Clerigos Tower during sunset. Another highlight for me was climbing the Porto bridge. Read our guide to the 11 hidden gems of Porto. In the shadow of the big Barcelona and Madrid, Valencia is yet a beautiful destination who managed to keep it’s authentic vibe and lifestyle. Come here, enjoy the Spanish lifestyle at its best within Valencia’s old town. 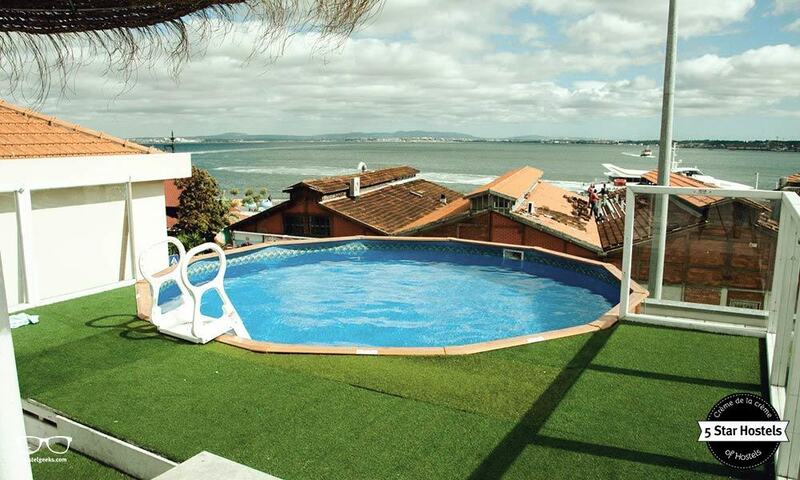 Oh and the beach is not far away from the city center! Valencia has some cool hotels and guesthouses. Airbnb is also very common. 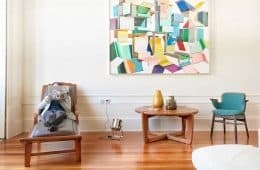 Here’s our 35$ discount for your first booking with Airbnb. 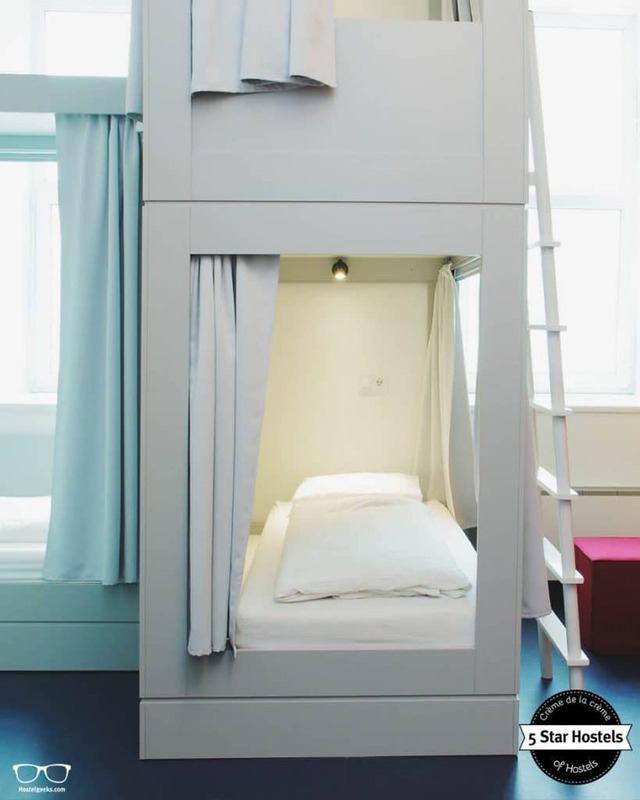 As for hostels, there is a few super cool ones. Cantagua Hostel comes with a beautiful interior design, super cool dorms, and a chill out vibe you will enjoy. There are plenty of things to do in Valencia. The most famous is la Tomatina and Las Fallas in March. Not heard about it? What else could you ask? Oh, good transport connection in case you want to escape from the city one day. Well, Barcelona has good transport, (and many places to visit nearby). Here is a guide on how to get around Barcelona. So many places, so little time… stay central or nearby a metro stop, that is the key to enjoy Barcelona to the fullest. 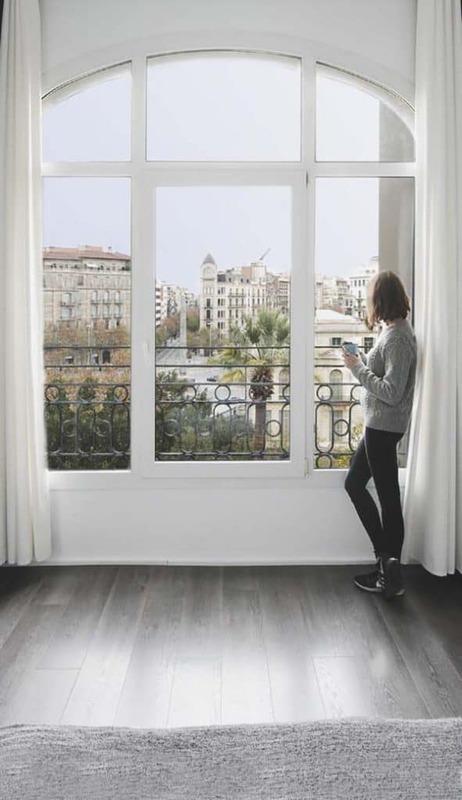 Here you have a full guide to where to stay in Barcelona. It includes where to stay for families, friends, couples… A full guide with neighborhoods descriptions. 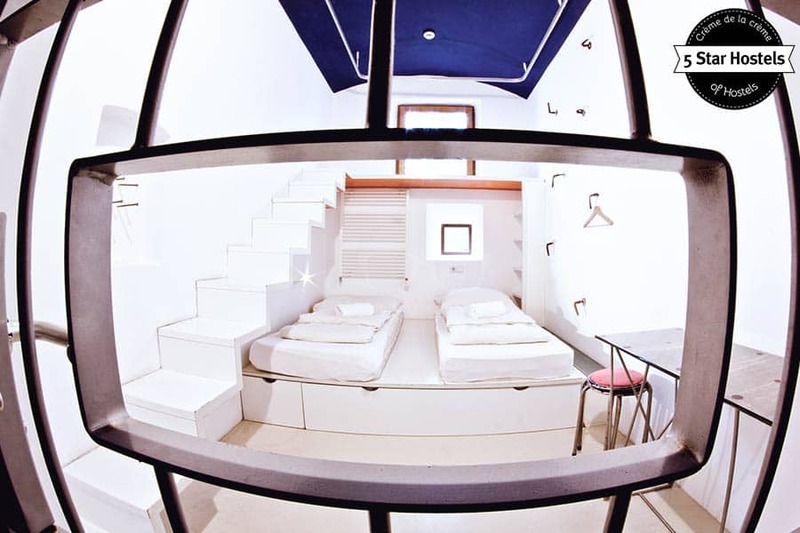 We have also some hostel recommendations, check them at our article 3 best Hostels in Barcelona. 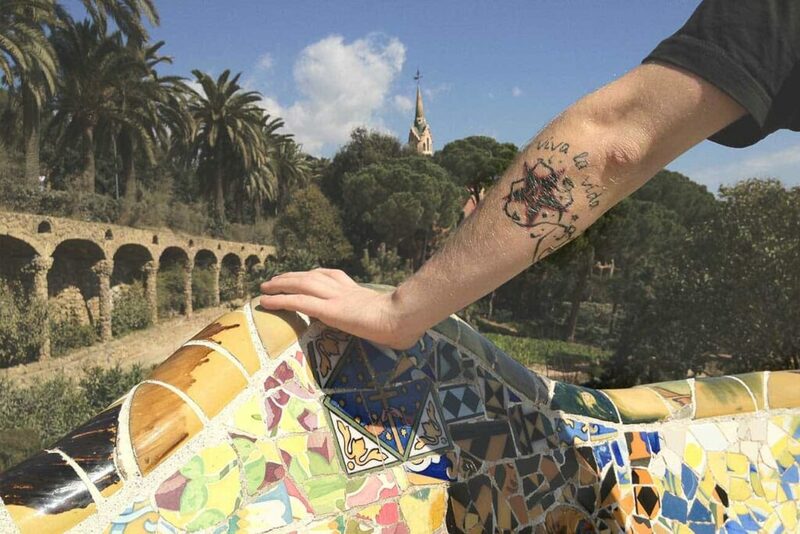 We know and love Barcelona, it is our hometown. That is why, we can give you plenty of information about it. 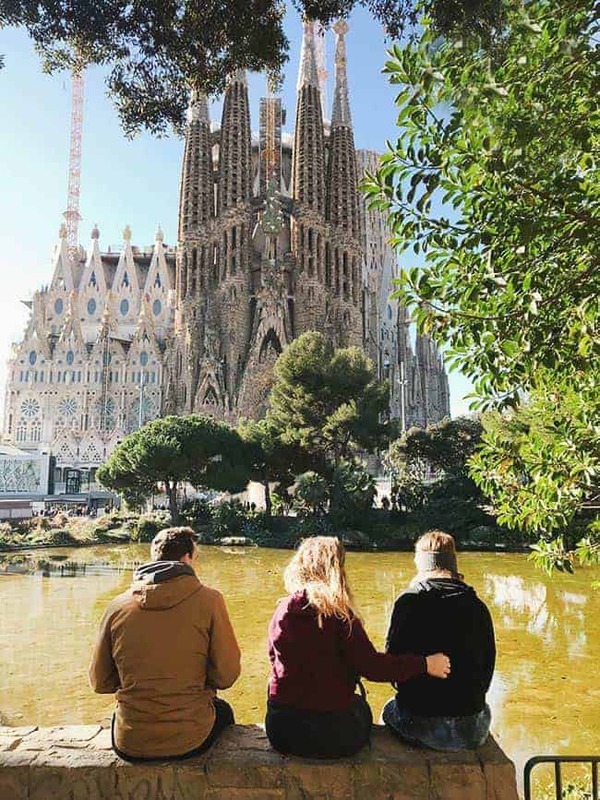 Visit Barcelona on a shoe string budget? Then check all the FREE Things to do in Barcelona. It is one of the tiniest countries in Europe, surrounded by mountains. Andorra is a sports country, you can enjoy kayak, mountain bike, skiing, rafting,… or simply admire the scenery. Located in an old farmhouse, Mountain Hostel Tarter is the place to be. You will get the vibes and mood to enjoy this tiny country at the best. Mar, the owner of Mountain Hostel, will help you to design your perfect itinerary. Have a look at the hostel story on the video below. NOTE: They just opened an open air Jacuzzi in June 2017. One more reason to stay with them. There are plenty of activities to do in this tiny country! 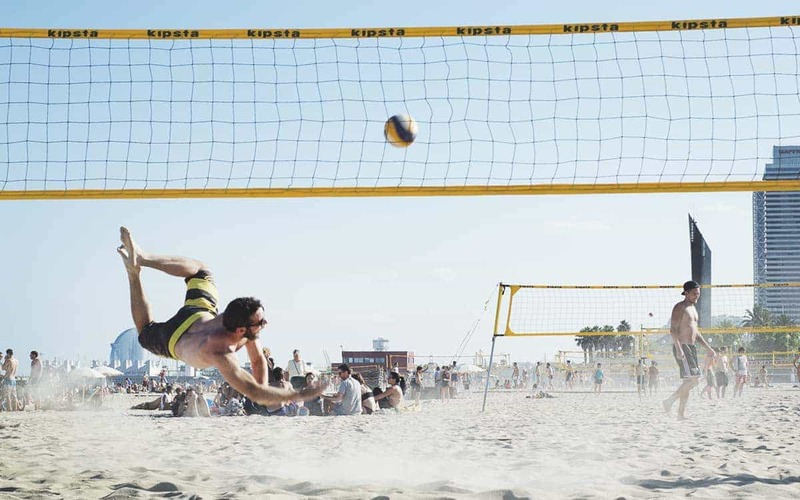 If you do not want to practice any sport, you can just relax and enjoy the views. Andorra is also known for their low taxes. Many people from the countries nearby come just to buy Alcohol, electronics, and even cheese and sugar products. 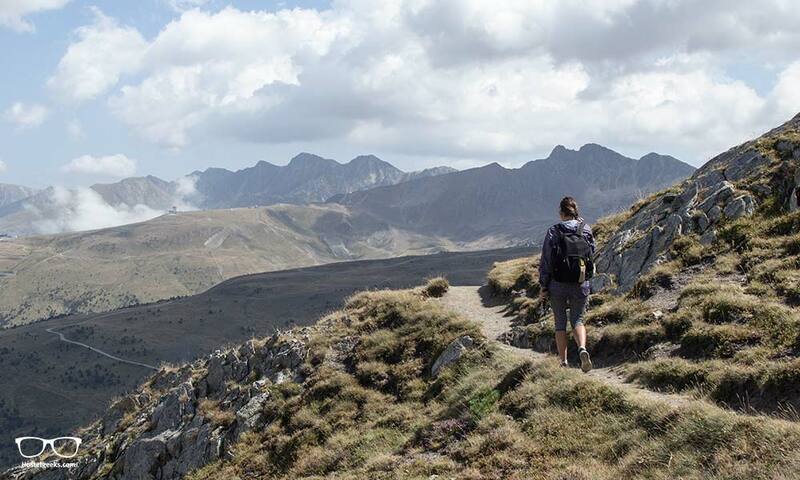 We totally recommend you to take a 2 Day trekking with a Gastronomy experience. IT’S VENICE! It is incredibly beautiful with its old buildings, romantic flair all along the city, nice sunsets and Italian food. 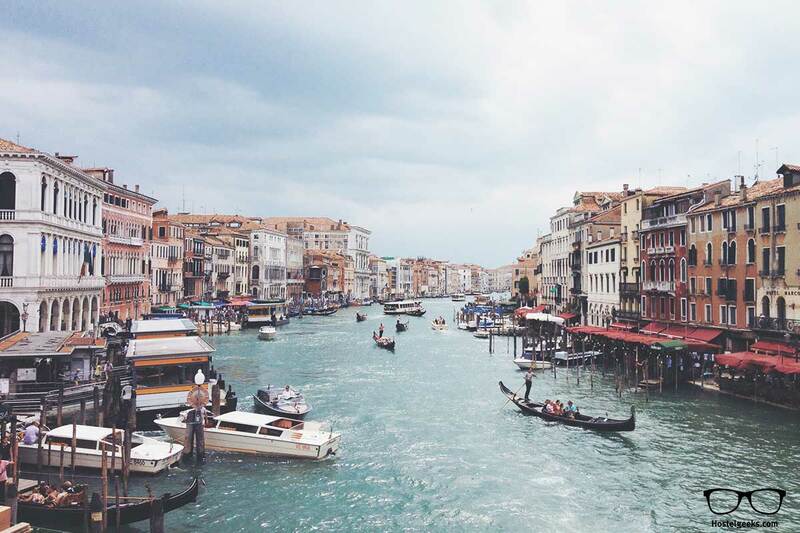 The floating city of Venice is one of those places everyone wants to see at least once in their life. The city of Venice is very very touristy. This is no secret. However, to my surprise, you can sneak away from the tourist path really easily. Just go away from the main San Marco Square and the street connecting it with the train station. It is beautiful, romantic – come here, please. It is great in summer and winter. Actually, all year long! 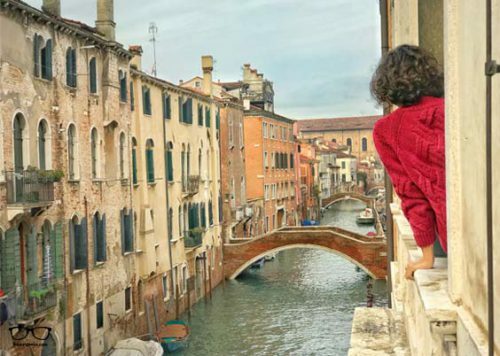 Find here our best 6 hidden gems to Venice. Located in an old form monastery, We Crociferi is the place to stay during your visit to Venice. A premium hostel in the main island of Venice with cozy designed rooms and in-house bar offering one of the best spritz in the city. This hostel is perfect for solo-travelers, couples and families. So many things to do in Venice besides taking 1.000.000 photos for your Instagram feed. Eat tasty Italian food. Here we list our favorite restaurants in Venice. Take a trip to Bologna too. It is the birth place of Italian Cuisine. We recommend staying 2 nights in Bologna. 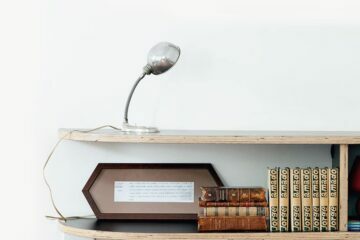 Check out WE Bologna, a fun and design hostel we love. Its nickname is Jewel Box and it is still a hidden gem for many people. Dresden is not very known outside Europe! 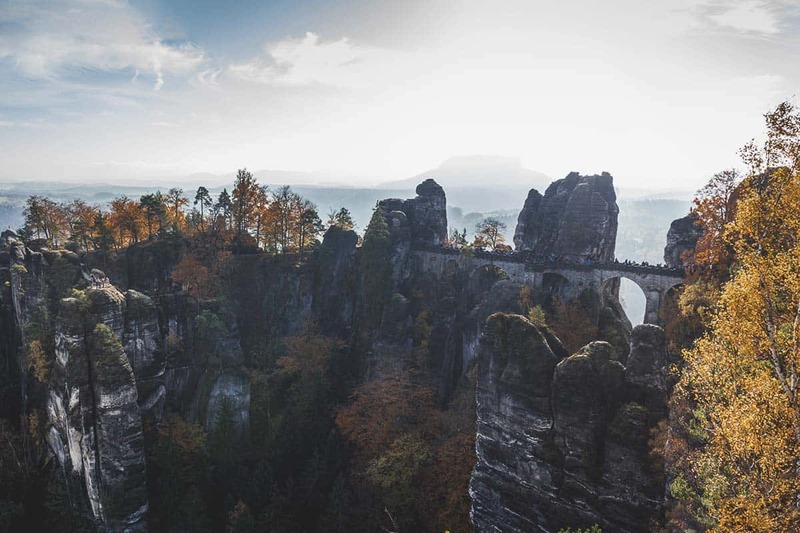 Dresden also has one of the most impressive nature landmarks nearby: Elbe Sandstone Mountain. And is the capital of Saxony, and was the former royal residency. To get the authentic Dresden flair, stay at Lollis Homestay. 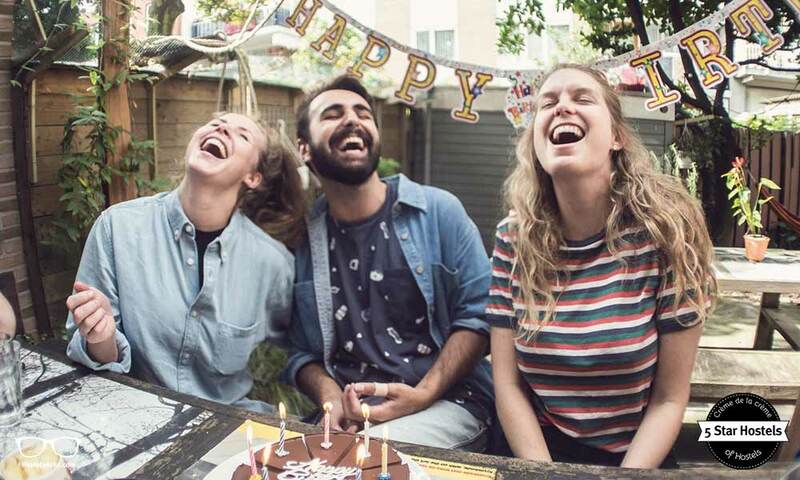 A creative, laid-back hostel, run by genuine backpackers. 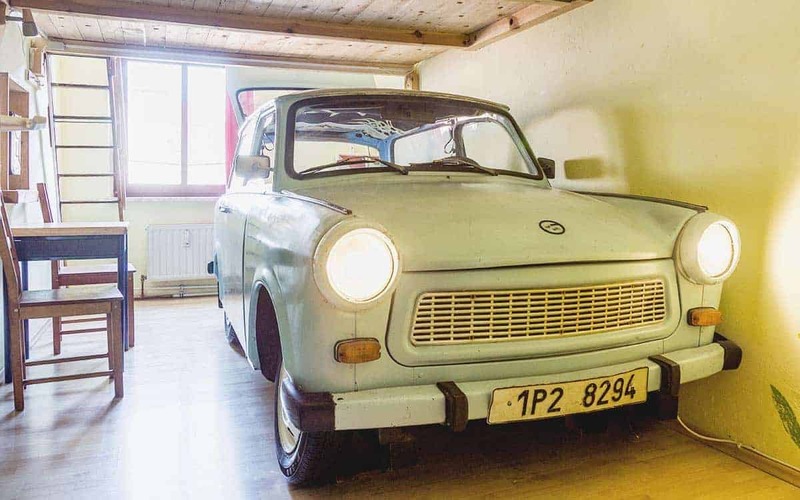 They turned an old DDR car into a cosy bed. They do offer a room where you will feel you shrink yourself, like in the 80s movie „Honey, I shrunk the Kids“. Find all hostels in Dresden here. An authentic mirror of the city and neigbourhood it’s nestled in. 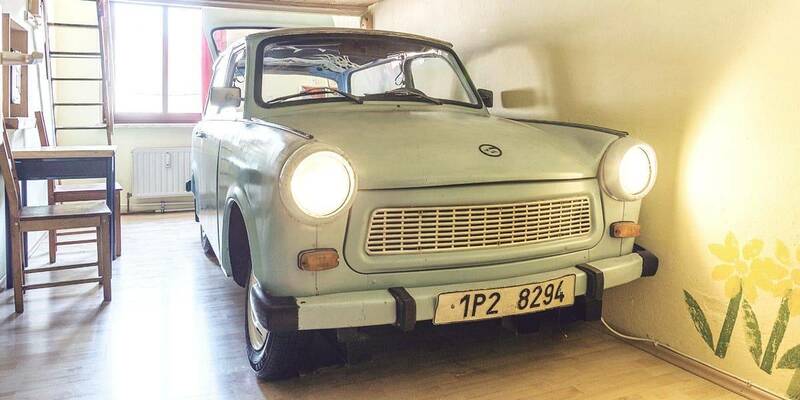 You can sleep inside this car at Lollis Homestay – super cool! If you go during summer, you will be able to hang out on all the beer gardens that are around the city. 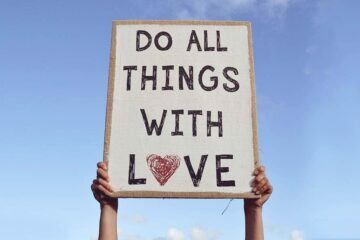 But there are many other things you can do! It is the perfect bite-size city! The capital of Slovenia is also a cheap, safe destination, and you will find friendly locals. It won’t take you too long to fall under his charm. As Ljubljana is a very cheap destination, why don’t treat yourself with a faboulous penthouse with a terrace? As for an apartment: You will have a blast at Embassy terrace apartment. It also has an open bath-tube! As for cool hostels: Hostel Celica is a an awesome hostel. 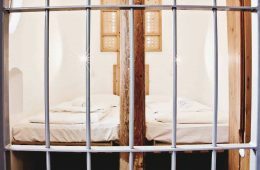 It is a former prison, turned into a fun, cool hostel. Perfect for families, groups and solo-travellers. They even host live concerts, walking tours, bike tours. Seriously, this is the best hostel in Ljubljana. We actually visited them in person of course. 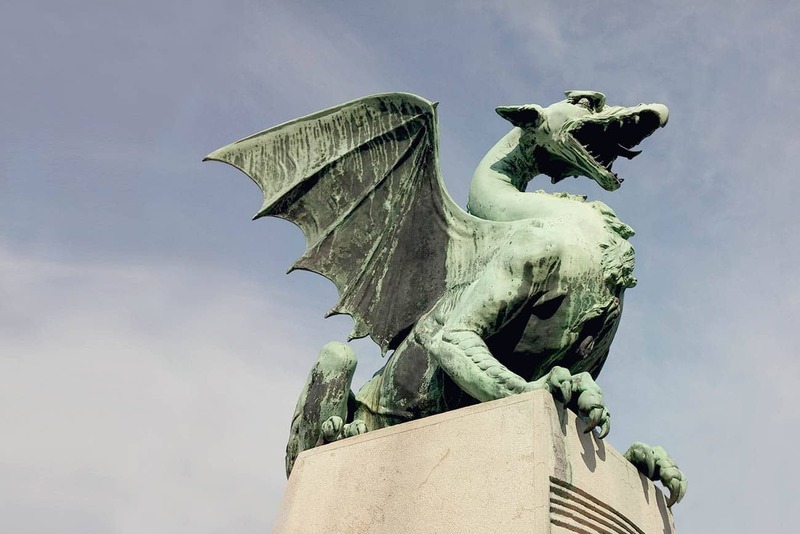 As Ljubljana is a relatively unknown, it is difficult to find good articles about it. While it should be ranked as one of the top places to visit in Europe, Budapest is still an underrated city. Why? Well, some people say they want to keep it from themselves and avoid the massive tourism. Budapest will surprise you with exciting sites, delicious dishes and relaxing thermal waters. The Maverick City Lodge. 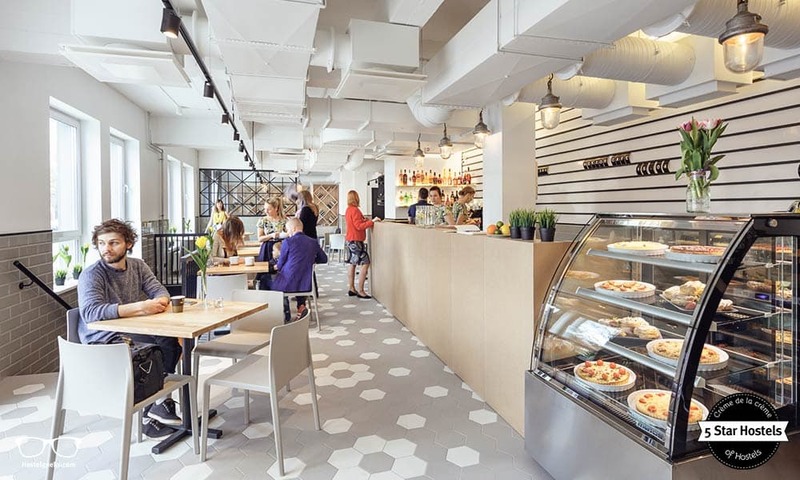 It is a modern design Hostel located in the heart of Budapest close to plenty of restaurants, cafés and monuments. This makes it very convenient to come and go! In this guide we compare the best hostels in Budapest, Hungary. There is a reason not to plan your weekends in Budapest. Budapest hosts most festivals than weeks of the year! We have to admit, Hungarians know how to celebrate. Here you can check all the official events in Budapest. 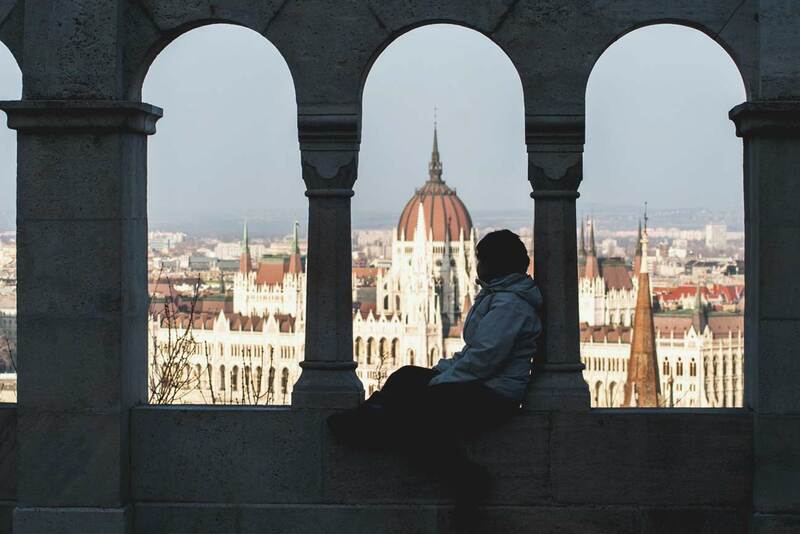 Check also 29 places that prove that Budapest a stunning city in Europe . Download our best secrets of Budapest: it includes a spa, a local restaurant and a green park to relax. St Petersburg, or “Peeter” as locals call it, is a young and vibrant city is full of museums, cathedrals, gardens… and royal palaces. Check out the capsule beds at Inbox Capsule– everything you need to be comfortable in one small space, with the added bonus of an in- room social area. And here is a spoiler! Each capsule has its very own ventilator and A/C. Read the full review of Inbox Capsule here. Berlin is a unique city in Germany, and Europe. Actually, Berlin is a unique city in the world! Full of history and impressive monuments, it has some of the best museums and Galleries in Europe. Yet the best is the Berlin flair: neighborhoods with plenty of cafés, bars, discos, and people enjoying life. Mix it with the culture richness and you get a heaven for creatives and travelers. 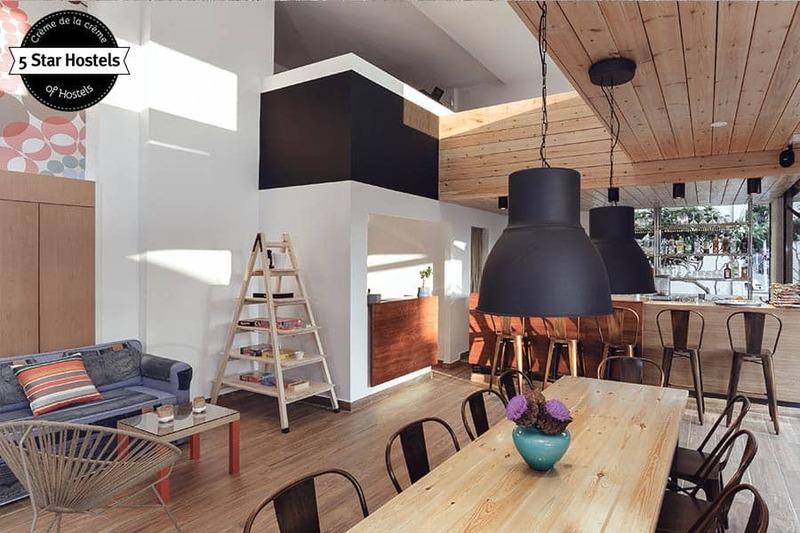 What a better place to stay in Berlin than at the stylish boutique Wallyard Concept Hostel. Combining an industrial design with the hipster vibe of Berlin. WALLYARD (as we call it for short) goes beyond simply putting together a stylish-looking hostel – It is a lifestyle. 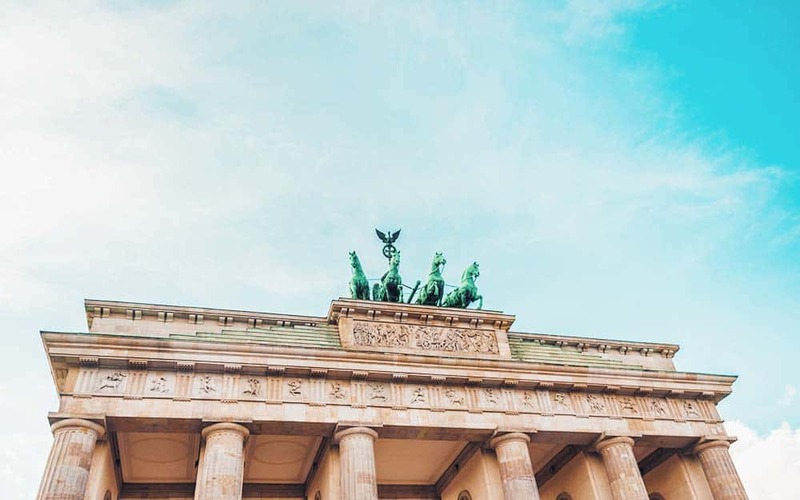 Here’s our guide to cool things to do in Berlin. Hamburg is not the typical European holiday destination. There are no castles, no palaces, no big squares with gilded monuments, neither grand downtown avenues. Even the biggest church is relatively modest. That shows you that this city has been a conservative merchant city. Hamburg it is the second largest city in Germany, and of course, it does have some sights. The most interesting part though is its vibrant music scene,its funky accommodation, mouth-watering food and drink smorgasbord. And the brilliantly unpredictable night life. 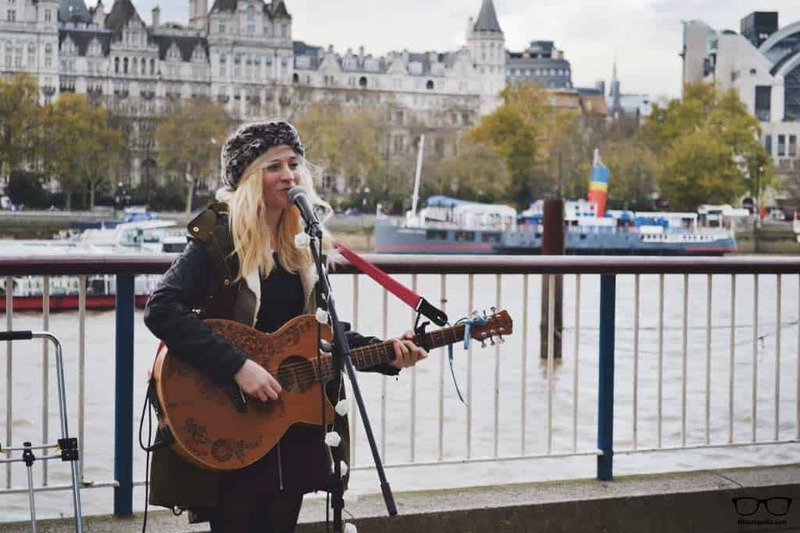 It’s a positively city buzzing with a youthful, creative and welcoming energy. A fun backpacker option for hostels in Hamburg is the Backpackers St Pauli. The most popular hostel in Hamburg is the Pyjama Park Schanzenviertel. 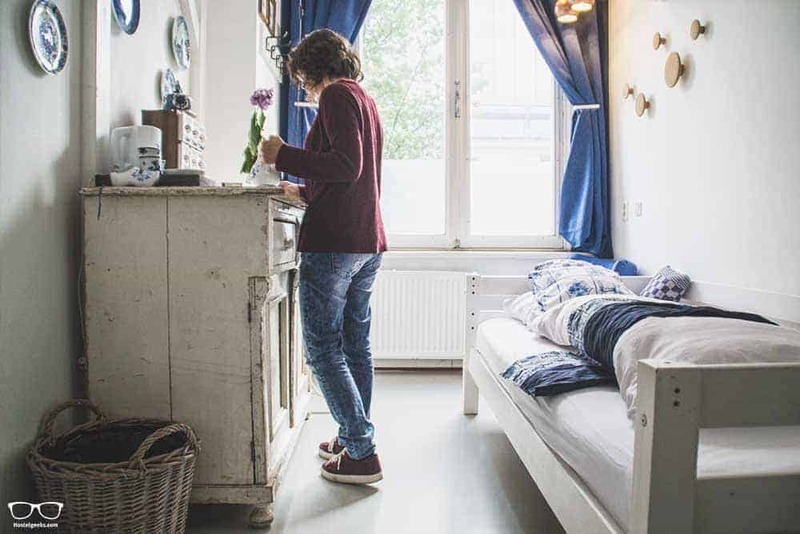 Here#s our guide to best hostels in Hamburg, Germany. Heading to Munich, South Germany? 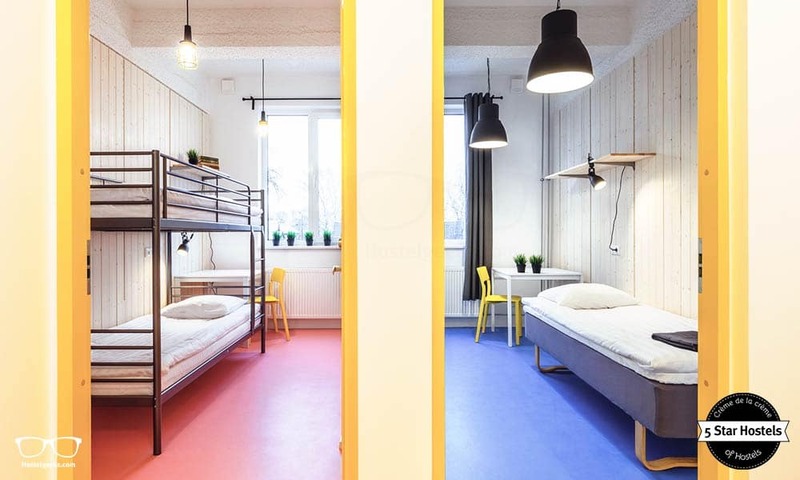 Here’s our guide to the 3 best hostels in Munich. 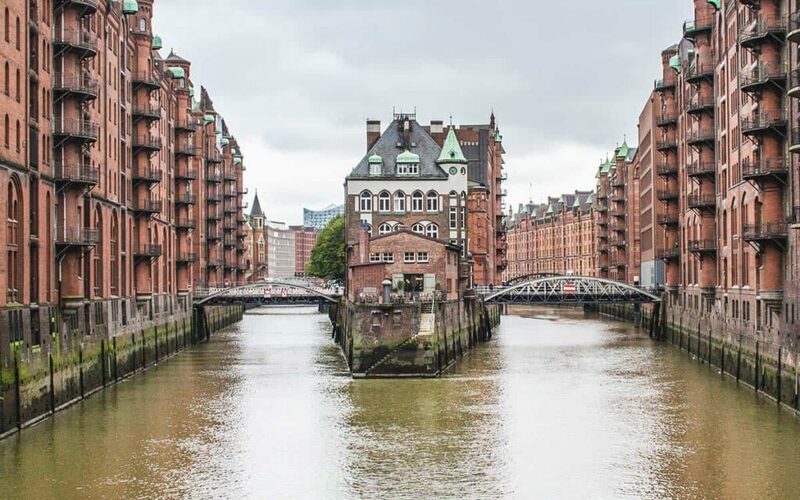 Read our guide to cool things to do in Hamburg and discover a delicious restaurant, a cool breakfast place or where to picnic with locals. Estonia is still a hidden gem in Europe and most of the travelers will choose Tallin to visit. But if you want to get to the bottom of what Estonia is really about, go to Tartu. Tartu is actually the oldest city in Estonia. It dates back to the 11th Century! It is also home to one of Northern Europe’s oldest universities. Even though is the second largest town in Estonia ,Tartu is very compact. With most sights, restaurants and nightlife nestled across a couple of parallel streets, the best part is that it is a hot bed for creative and scientific culture. Tartu is full of students. Meaning, there is always something on from theatre performances to concerts and festivals. Minimal design, maximal effect! Stay at Hektor Design Hostel. 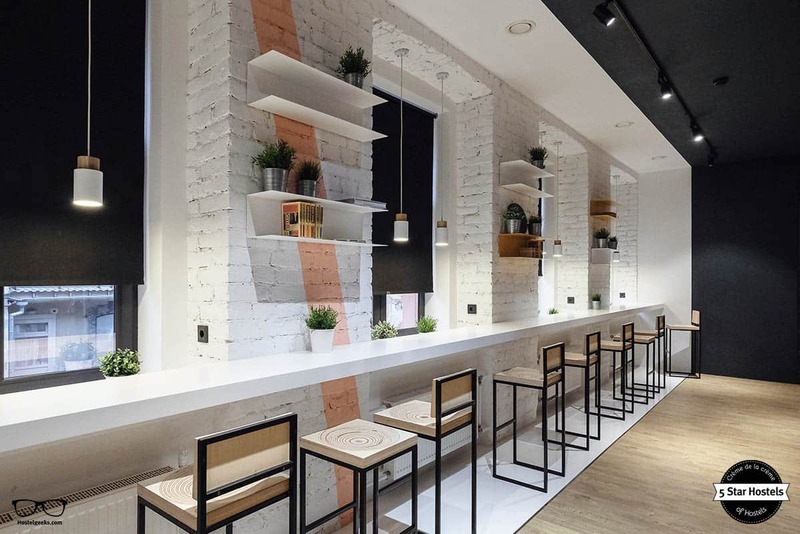 Located inside an old and nostalgic commercial space and warehouse, this budget accommodation invites guests to the cool, young city in an unique way. Leiria, located in Portugal, is still a hidden gem. 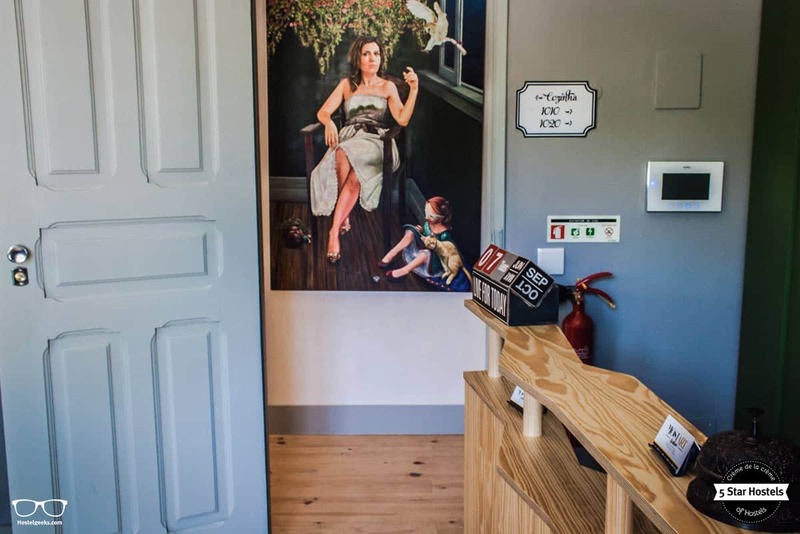 Having all the good food, and good vibes Portugal is known for, it has also design galleries to check out during your travel. It is located North of Lisbon, on the way to Porto. You could even just take a day trip from Lisbon to Leiria. Portuguese are known for being very welcoming. They do really appreciate tourism. 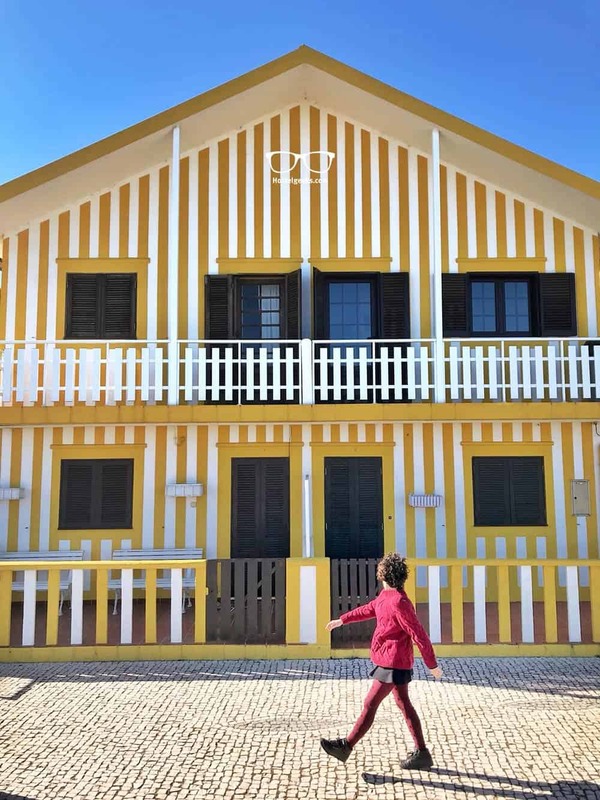 To get to know better the Portuguese culture and get the best hidden tips, we recommend you to have an Airbnb experience. A really fantastic hostel to stay in Leiria is the Most Art Boutique Hostel. Read our review of Most Art Hostel here and find prices here. Such a hidden gem that no many posts about the city are yet written. In Leiria, you can visit the castle, one of the many expositions or simply enjoy the lifestyle and Portuguese food. Just 14 minutes away, you can visit one of the 7 wonders of Portugal, the Batalha Monastery. Best time to visit Europe on a budget? As always, Europe is busy in the vacation time of the schools, meaning AUGUST! This is when you find most places more expensive and crowded. We especially enjoy traveling in Europe in May, June and September to November. This is when the places are usually a bit cheaper, less people and therefore a bit more to enjoy. This is especially good to know if you are traveling Europe on a budget. Getting around Europe is easy. There are many options and it can be really really cheap, if you play your cards right. The most flexible way to get around. It is perfect to be independent. You can visit villages, beaches, you name it. There is MANY rental companies out there. As always, we recommend checking the small letters when renting cars. Bear in mind: It’s more expensive to rent a car when you cross borders. Renting a car in Spain and giving it back in France can be quite expensive. Plus, not all rental companies allow crossing borders. I recommend renting cars inside one country. Every country has its own train company. These are at the same time the cheapest option to buy. You can buy either online or directly at the train station. In countries like Germany in Italy I experienced big online discounts. When you book ahead of time, it can safe you a lot of money. Fast and cheap! The bus to the airport can sometimes be more expensive than the flight itself. My record? I caught a flight for Fuerteventura, Canary Islands for 12€. My favorite way to find flights is Kiwi.com. It allows a lot of filter options and you can even search by radius. Just draw a circle around a destination, like Italy and Kiwi shows you the cheapest destinations to fly to. Pretty handy, especially when you are flexible! It might be slower, but it is a great and cheap way to get around. Usually it is cheaper than the train, but it’s recommended to compare anyway. A great tip: Always bring a jacket to the bus when traveling. Some countries like Spain are world championship winners in Air conditioning. At least, that is what it feels like. I once got really sick from an AC in summer, not a great way to spend the warm days, right!? This is obviously more of the coast lines. 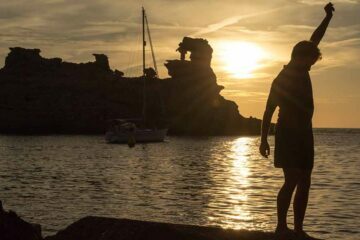 You can take ferries from Valencia to Ibiza, Mallorca and Menorca. Around Italy you can take ferries, in Croatia, Greece. There is always a local company running these ferries, so I do not have a generic rule or website about this. If you have any, I would love to add this to the list. Just to have this list completed, the #vanlife movement in Europe is huge. France has a big cultural thing going on with vans and caravans, same as Germans, and Dutch. In counties like Portugal you can even rent vans for a day or week. This is more for the adventurous traveler, but certainly possible. This one however takes a long time, so not really recommended for a 2 weeks Europe trip. However, Europe is very bike friendly. Especially “flat” countries like the Netherlands are wonderful for cycling. Personally, I took once a bike trip from Stockholm to Oslo, Amazing time! So, if you are ever considering doing a bike trip, go for it! I can really recommend it. Resorts are not that common but you can definitely find luxury spas and resorts all over the place as well. What re some booking sites to find accommodation? For all your hotel bookings all over Europe, Booking.com is the safest places to book. It is the worlds biggest website for accommodation and comes with lots of advantages. The biggest advantage: It is reliable! 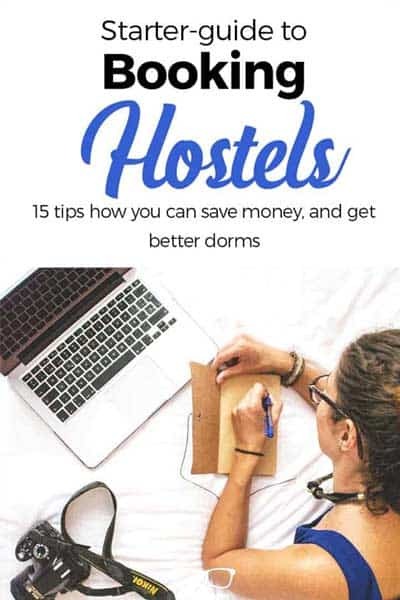 As for budget places and especially hostels, Hostelworld.com is the most commonly used booking site. They offer the widest range of budget accommodation in Europe. Talking about hostels, do not underestimate the hostels in Europe. They can be pure luxury, and there is even 5 Star Hostels. Example? 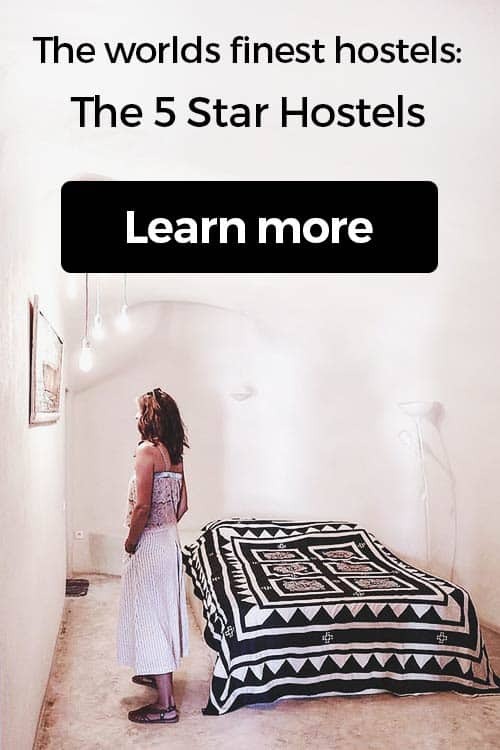 The photo below shows the 5 Star Hostel in Santorini, a former winery, 5 Star Resort with swimming pool, BBQs and yoga lessons. Here you have our 21 top places to visit in Europe this summer. Did you have already some of them on your bucket list? Did we inspire you with a couple of places to add to your bucket list? We would love to hear about it. So, please feel free to leave a comment below. Here you have also the full list of all the places we include in our best places to visit in Europe this summer. We put them also on a map. This way, it will be easier for you to plan your itinerary. We wrote this guide to best summer destinations in Europe due to our readers request. More than 30.000 readers enjoy our best winter destinations in Europe. Oh, yeah, for summer, Europe has even more to offer. Therefore, we wrote this guide and we want to to make this article as useful as possible. Please please please leave a comment and let us know. Your comment helps us to cover all the questions you still have after reading the whole article. 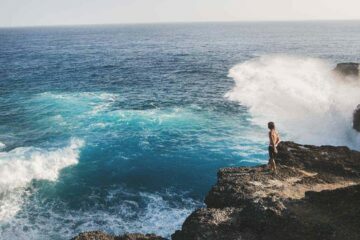 It helps us to make this article better, it helps travelers to travel to cooler places and get more information you need. I can’t believe that you don’t have one single Scottish destination in this. It is still a very nice selection though. Nevertheless, Scotland is also a great European Summer Destination! Wow. What a list and such gorgeous pictures! I have been so intrigued by Albania, Kyrgyzstan, well really all the places you have on this list! Thanks for showing these off beat places and how beautiful they look! We are traveling from Hawaii and want to go to Greece, possibly Barcelona, and Portugal in June 2019. We have 3 weeks maybe 4 weeks to travel. We like adventure, hiking, unique places… any suggestions? NICE! 3-4 weeks is a great time to visit Europe! So you like Greece, Barcelona and Portugal. I think you are looking for an amazing time there, because these are great countries! My suggestion: Go to Athens and then explore 1 or 2 islands. My favorite islands are Santorini and Rhodes. Here is our guides on Things to do in Rhodes and Things to do in Santorini. Getting from Greece to Barcelona can be tricky. There is direct Flights in summer from Mykonos and Athens, but not Santorini or Rhodes for instance. Check kiwi.com. There you can type in from “Greece” to “Barcelona” – so easy! Here is my guide on how to use Kiwi. I actually just checked for you. In Barcelona you should stay at least 3 nights. Anything less is stress, hustle and you will be only running. There is so much to see, to do, to eat, plus you have the beaches. Here is my guide to best things to do in Barcelona. 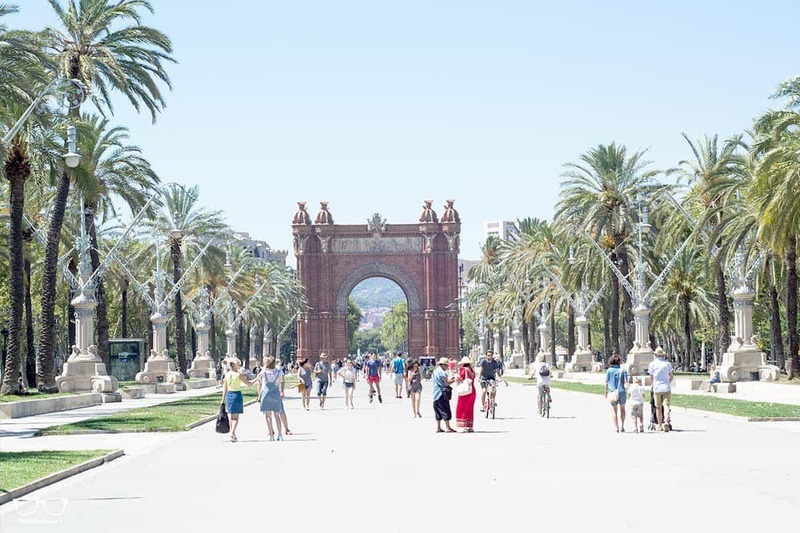 June in and around Barcelona is epic. You said you love hiking. So I recommend to hike along the Costa Brava. There is a trail called “Cami de Ronda”. It takes you along the coast from Blanes to Portbou. June is an amazing time since you are there before high season. Many accommodations are still very cheap and not booked out. 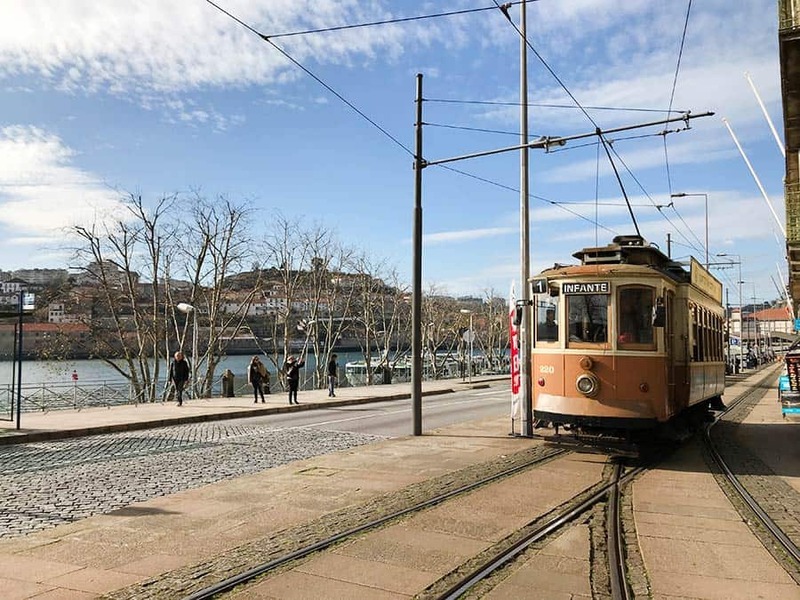 You can then take a train to Madrid, enjoy the capital and then head to Porto, for instance. You can also take very cheap direct flights from Barcelona to Porto. OHHHH this is where the fun continues. I am not kidding, I LOVE PORTO and Portugal! 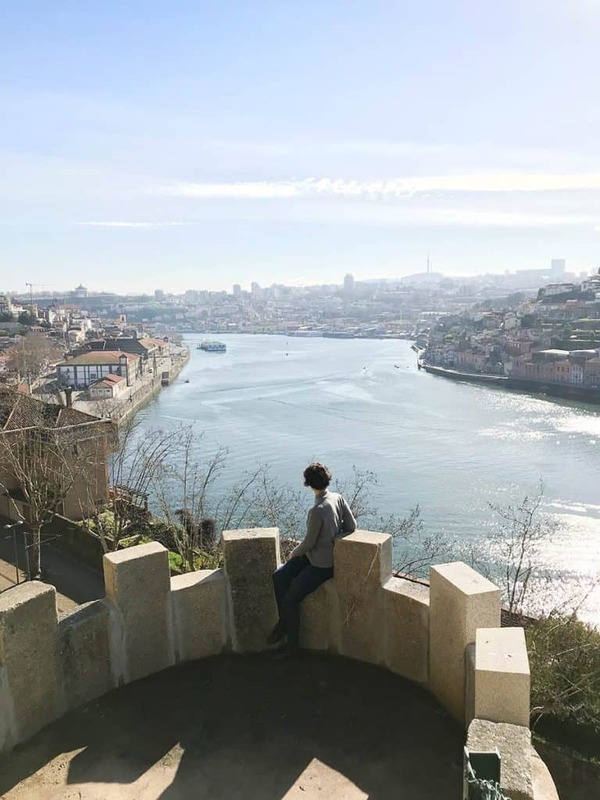 Here is my guide to things to do in Porto. In porto you have to stay at The Passenger Hostel, it’s just gorgeous. Whether you like hostels or not, THIS place you will love. Then in Porto you can either explore the area around Porto, there is amazing national parks and adventures like canyoning. Or you can travel along the coast all the way down to Lisbon and Faro. Any questions? Hit me up! So much to look into! We are looking at a Amalfi coast too. No personal experience here, never been! But the photos are stunning and a befriended couple just went there. It is a bit more busy, but that’s to expect. Best way to get around there is renting a car. Remember in Europe we have stationary radar control, speed control. Just because you do not see cops, that does not mean you can speed. Just mentioning this, since it happened to a guy from the US I talked to. He did not see cops, had no idea about the speed control; and afterwards he got like 7 tickets send home. Wow this is a great guide and information provided, these places looks to be exciting and hope to visit one of these exciting places! Do you have one for Thailand or South East Asia by any chance? We have a big guide on Thailand for hostels, here you go: The best hostels in Thailand summed up and reviewed! Summer? Europe? 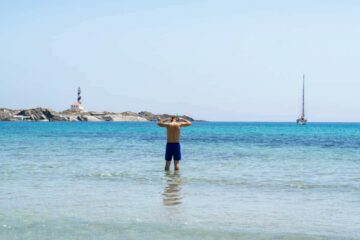 Best Destination ever—–> Cyprus.